Two decks of gorgeous playing cards (“Action Cards” are used for initiative in Savage Worlds), featuring the best art from Alex Raymond AND Pinnacle’s own incredible art team! These are standard “poker size” cards, so you can use them for regular card games as well! 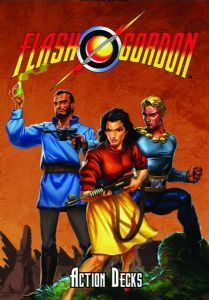 The Flash Gordon™ Roleplaying Game core rulebook contains updates to the Savage Worlds core rules system, new rules for powers, races, Edges and Hindrances, gear, rocket ships, Setting Rules and also includes a gazetteer of the fantastic world of Mongo and so much more! New Release; Stock due Tuesday 22nd January; Tri-fold GM Screen plus a 32-page adventure, “Journey to the Center of Mongo”. Kingdoms of Mongo is a comprehensive guide to the many diverse lands that can be found upon, above, and even within the great ​rogue ​planet of Mongo. 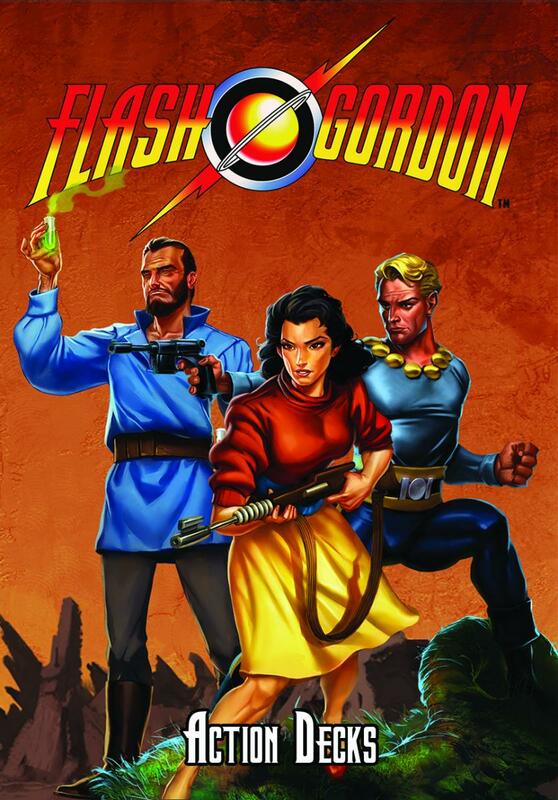 Everything You Need to Play in the Savage World of Flash Gordon!